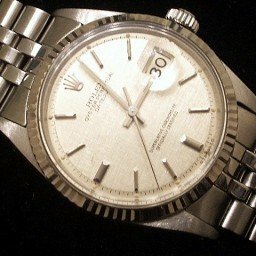 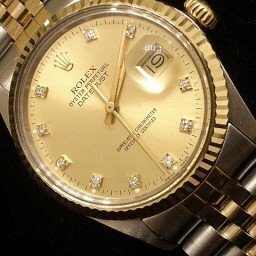 Beckertime is proud to offer this 100% FACTORY ORIGINAL GENUINE ROLEX timepiece. 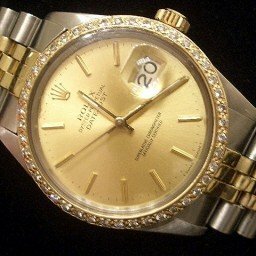 It is a Mens Rolex Datejust 2tone 18k Yellow Gold/Stainless Steel Oyster Perpetual Watch with custom added genuine diamonds on the dial and bezel that is guaranteed to impress! 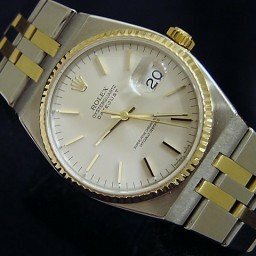 Dial Rolex gold champagne dial has been professionally refinished with 10 round brilliant cut diamond markers is in super excellent condition. 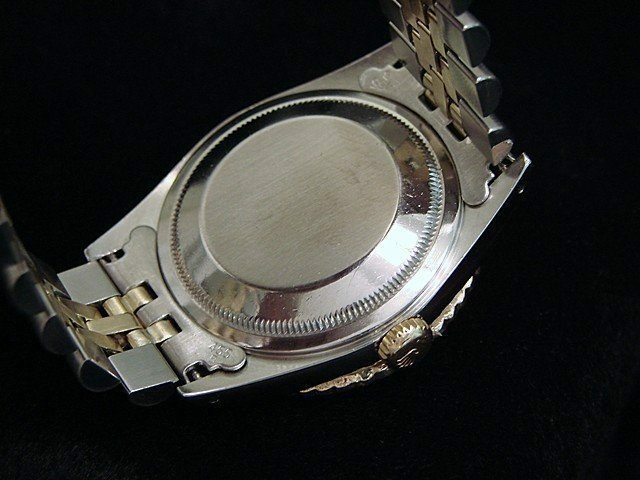 Bezel Genuine 1. 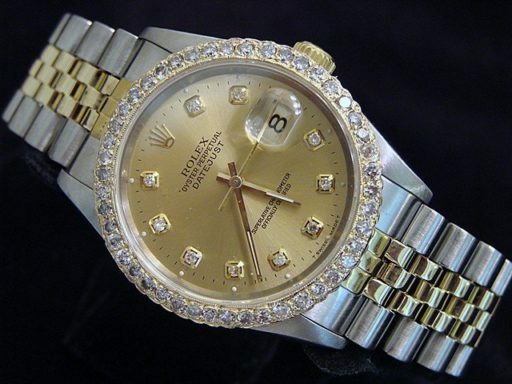 00 carat diamond bezel is custom aftermarket (not produced by Rolex) of the finest quality. 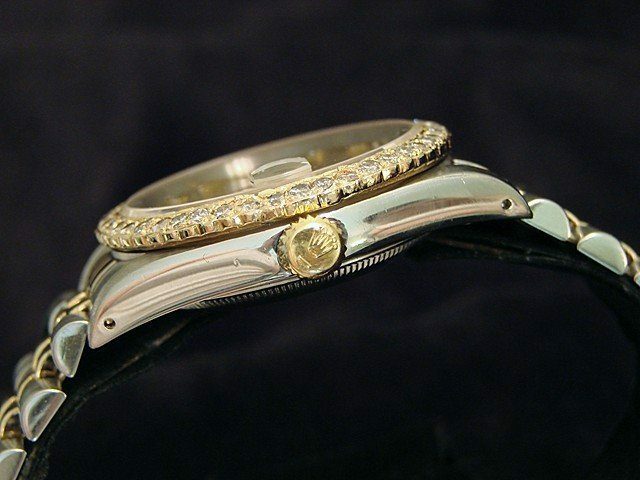 The round brilliant diamonds are eye clean and bead set in 18k yellow gold. 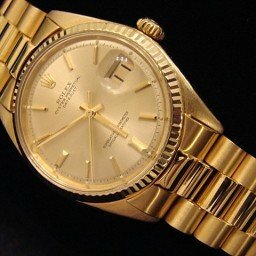 Band Aftermarket two-tone 18k gold & stainless steel jubilee bracelet with plain (no Rolex markings) clasp is in excellent condition with stretch between the links. 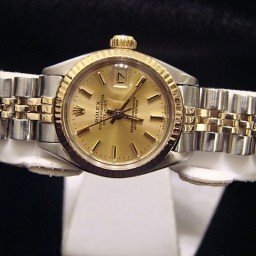 The bracelet is not made by Rolex as it is an aftermarket bracelet of the highest quality with the desired high polish finish.